Continuing on my post-apocalyptic kick of late! 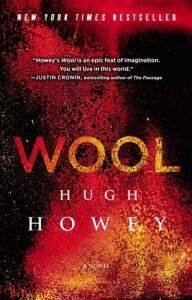 Hugh Howey's Wool turned out to be just what I needed. I've been on somewhat of a streak with my reading lately, and although I can't easily identify it, words such as dull and pretentious rush to the fore front of my mind. In this story we are given several narrators, but our protagonist is Jules and she is awesome. She's essentially an engineering whiz who turns out to be good at dealing with anything whenever she is faced with a task. The world of Wool takes place in gigantic silo that houses people for thousands of feet down into the earth. Communications are archaic in the silo, and the only way to get anywhere is by taking the giant spiral staircase in the middle of the structure. It takes days to get from the top to bottom of the silo to give you some perspective of the size of this thing. Outside the atmosphere is toxic and harsh, and whenever the highest laws are broken people are sent out to "clean" which is essentially be banished to your death. 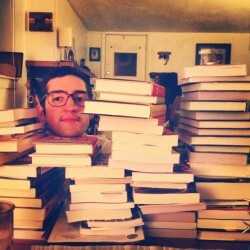 I found this book to thrill me in the same way Justin Cronin's The Passage did. Same kind of tone and attention. Great summer read for me.